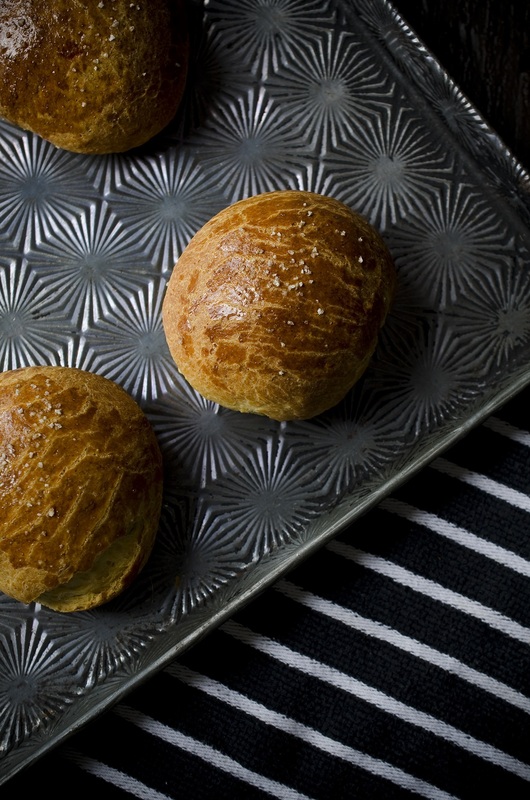 These cheddar brioche buns are the perfect base for a grilled cheese sandwich or cheeseburger. They’re also a fantastic side for stews and chili! Add the flour, dry milk, sugar, salt and instant yeast to the bowl of a stand mixer and briefly whisk together. Add the 3 eggs, yolk, water and butter. Use the dough attachment to knead the ingredients together on low speed for 20 minutes. Turn the speed up to medium and mix for another 2-3 minutes. Place the dough in an oiled bowl (if the dough is too sticky to handle, some vegetable oil on the hands works wonders). Cover with a kitchen towel and allow the dough to rise for 1 hour, then place the covered bowl into the refrigerator and chill overnight (or 3 hours minimum). Set the dough on the counter for 45 minutes to soften the butter slightly. Line a baking sheet with parchment paper. Divide the dough into 8-12 even pieces (8 pieces will yield hamburger/sandwich sized buns, 12 will yield dinner rolls). Stretch out one piece and add a spoonful of cheese to the center (For 8 buns, add 2-3 teaspoons of cheddar per bun). Fold the dough around the cheese for a cheese-filled center. Alternately, knead the cheese into the dough so that it's more evenly distributed. After shaping the bun, poke any large bits of visible cheese back into the dough. It won't hurt the bun if cheese is visible but it might create dark spots in the final product. Place the buns on the prepared sheet, cover loosely and allow to rise for an additional 3 hours. Preheat the oven to 375°F. Brush the egg wash liberally on top of each bun and sprinkle coarse sea salt on top. Bake the buns for 25-30 minutes*, or until they're a deep golden brown on top and register 190°F in the center with an instant read thermometer. This recipe yields 8-12 buns depending on how thick you roll them. 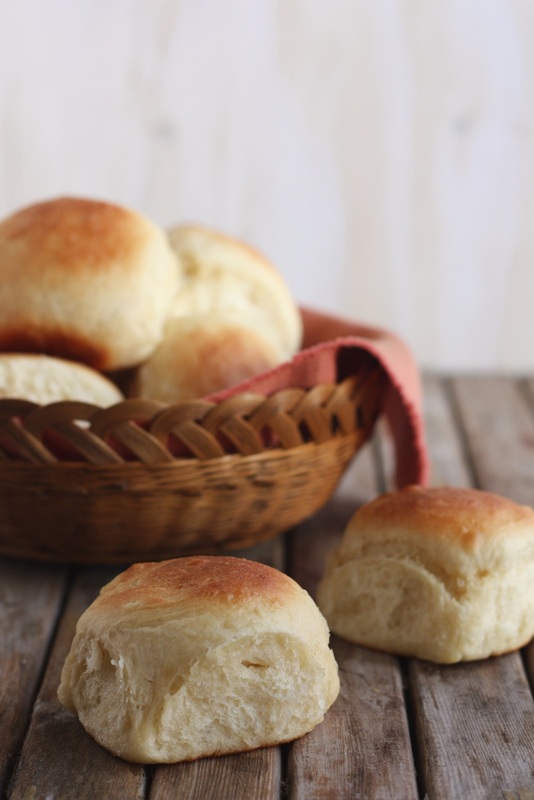 8 pieces will yield hamburger/sandwich sized buns, 12 will yield dinner rolls. *8 buns took approximately 30 minutes in the oven. For smaller buns, start checking for doneness after 25 minutes. Do you really mean to have the dough mixed for 20 minutes initially? Hi Lisa – due to the richness of this dough, a longer kneading time is required to fully develop the dough.